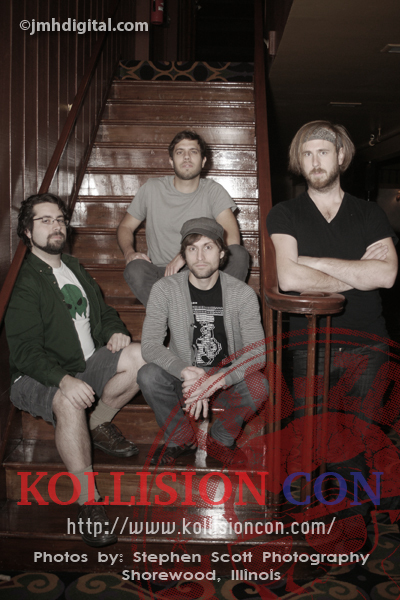 Last of the interviews from "Kollision Con", it sort of came in and I put it in the wrong place and I am pleased to bring you "The Pillowcases"
-How did you all become part of the group “The Pillowcases” also where did the name stem from and please tell us some of the alternate names being considered? We started as an original band called Silhavey, and after playing "Ride On Shooting Star" for an upcoming gig we decided that it would be fun to play Pillows covers at conventions. We really didn't have another name considered besides "The Pillowcases." The name was too perfect: it's a name that's witty at first, but seems less funny each time you hear it. 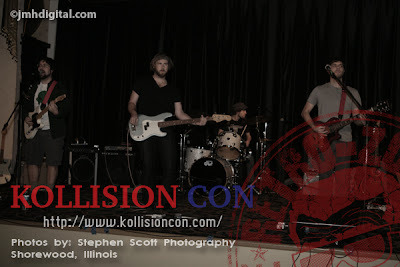 -Some of the best parts of “Kollision Con” also your biggest thrill playing at conventions and the farthest you have traveled? Best part of Kollisioncon: The audience, the stage and the sound guy. It was one of the best audiences We've had, people were having a fantastic time. The stage sounded amazing and it was probably the coolest sound guy we've ever met, he had like every kind of instrument, from his own collection. We used his drum kit and Uzuhi (the band we performed with) used this really cool reverse Flying V.
-Playing a set of themes or songs that you do, which are some of your personal favorites and why? Mike: Ride On Shooting Star, followed closely by Crazy Sunshine. The song is like a blast from the universe. Matt: Ride On Shooting Star. It really gets the show pumping. Lucas: I Think I Can and Last Dinosaur. They're the best themes to play. Stephen: Crazy Sunshine because it's such a good song and Last Dinosaur because that song is awesome to dance to. -If you could have a theme for yourselves, what would that be? I am not sure you might have a theme; maybe you could do an acoustic version for our readers? Our theme song is Gravytown. -All groups get asked what are their musical influences, so I thought I would ask what your favorite television theme song is and why? Mike: Rocko's Modern Life. It just tickles my ear giblets. Matt: (without hesitation) Ducktales. Have you heard it? It's the catchiest theme song. Lucas: Cheers. Don't you want to go to a place where everyone knows your name? Stephen: Cowboy Bebop. One of the best jazz songs ever written. "Duck Tales" was catchy Matt! Cool interview Jeremy.